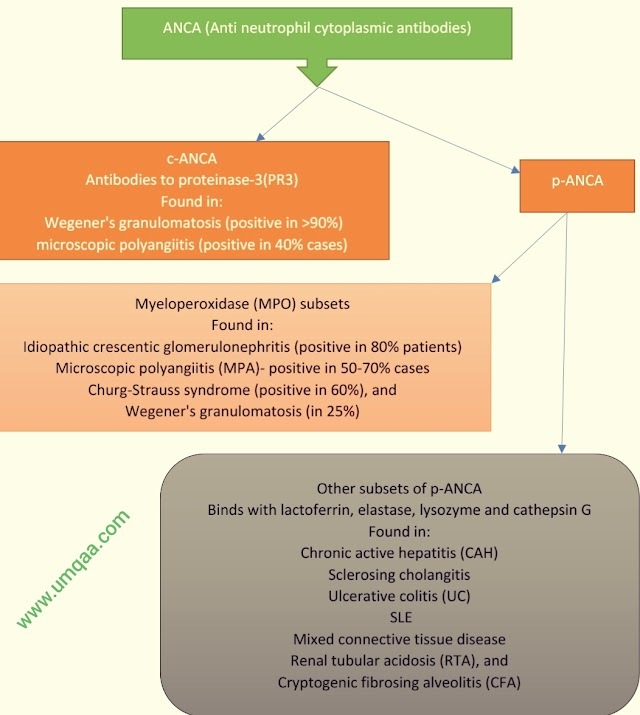 Bartter’s syndrome is an inherited condition (usually autosomal recessive), clinically similar to the chronic use of loop diuretics e.g Furosemide, Bumetanide etc, resulting in severe Hypokalemia associated with normotension. Type 4: Loss-of-function mutations of BSND (Bartter’s syndrome with sensorineural deafness) gene which encodes Barttin, a β–subunit for ClC-ka and ClC-kb chloride channels. Type 4 Bartter’s syndrome is associated with sensorineural deafness and renal failure. 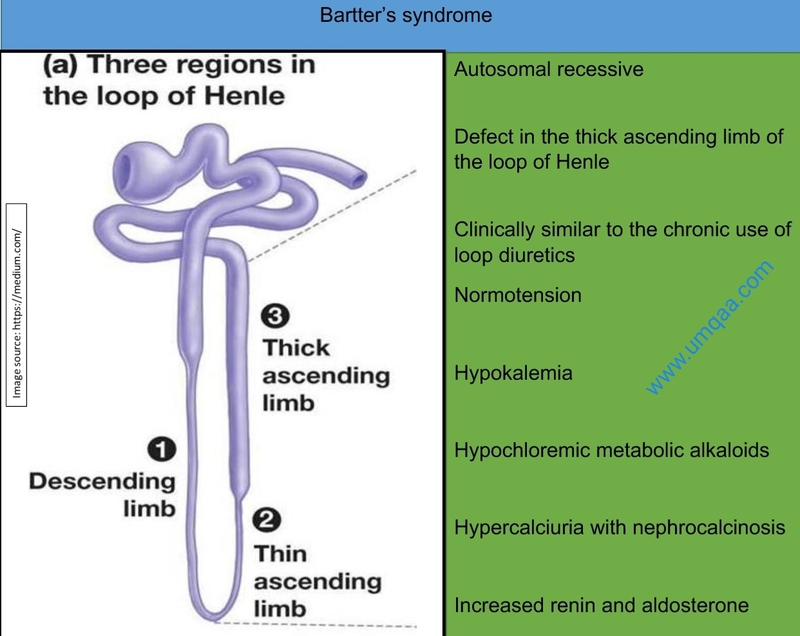 N.B: The features of Bartter’s’ syndrome are similar to that of chronic use of loop diuretics. Hyperplasia of the juxtaglomerular apparatus is seen on renal biopsy (careful exclusion of diuretic abuse is necessary). It needs combinations of potassium and magnesium supplements (lifelong), amiloride, and indomethacin is effective by inhibiting excess prostaglandin synthesis. Why there is normal blood pressure in Bartter’s syndrome? There is an increased intra-renal production of prostaglandin E2. This is secondary to sodium and volume depletion, Hypokalemia and the consequent neuro-humoral response rather than a primary defect. PGE2 causes vasodilatation and may explain why the blood pressure remains normal.